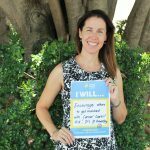 As new research* has revealed the number of cancer cases that would be potentially avoidable if the prevalence of overweight and inactivity could be reduced, Cancer Council Queensland has launched a new awareness campaign. 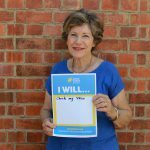 The forecast, released this World Cancer Day (February 4), has shown that over 200,000 cancer cases could be avoided in Australia over the next 25 years if all Australian adults maintained a healthy weight and met the physical activity guidelines for cancer prevention, prompting a call for personal and government action. 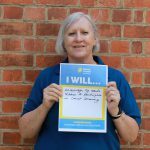 Ms McMillan said today marked the start of an awareness campaign that called on Queenslanders to make a Pledge of Hope and share on social media what action they will be taking to help reduce the impact of cancer. 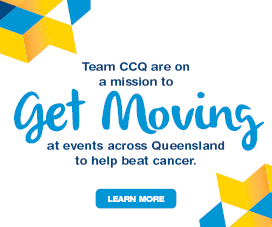 “Every Queenslander has the power to reduce the impact of cancer for themselves and the people they love – whether that’s through making healthy lifestyle choices, taking part in cancer screening programs, or raising funds for the cause,” Ms McMillan said. “In August we’ll be creating the world’s largest daffodil out of all the pledges in conjunction with our Brisbane Broncos partnership for Daffodil Day. Professor Aranda continued that while it is important for people to look after themselves by doing regular physical activity and eating a balanced diet, Australia’s obesity problem cannot be placed entirely on the individual’s shoulders. “In the lead up to the next federal election, both sides of politics need to recognise their responsibility to help protect children from mass marketing of junk food; improve the Health Star Rating food labelling system to provide simpler, more informed choices to consumers; and promote more public education about the benefits of good nutrition and exercise,” Ms Aranda said. 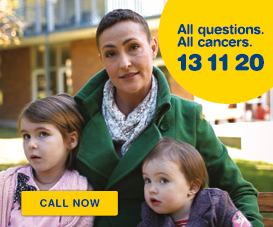 For more information on the #PledgeofHope campaign and social media resources, Queenslanders can visit cancerqld.org.au/pledgeofhope. *The study has been published in the International Journal of Cancer. 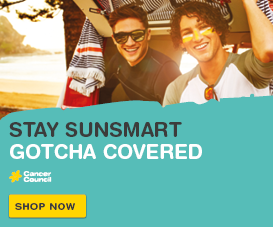 It was funded by Cancer Council Australia and the National Health and Medical Research Council. The journal article can be accessed via the following link on the International Journal of Cancer website: https://onlinelibrary.wiley.com/doi/full/10.1002/ijc.31943.